The leader of France’s National Front, Marine Le Pen has made a surprise appearance at Trump Tower in New York, fuelling speculation about a possible private meeting with the US president-elect. Her campaign chief of staff, David Rachline, confirmed her private visit to New York but declined to comment on any potential meeting with either the president-elect or members of his entourage. Le Pen is due to officially launch her campaign for the French presidency on February 4. However, as banks in France have declined to bankroll her campaign, she may face a tough start. National Front Secretary General Nicolas Bay was quoted by Reuters confirming that Le Pen’s party was seeking a loan of €27 million ($28 million) "from among banking establishments in France, Europe and around the world." 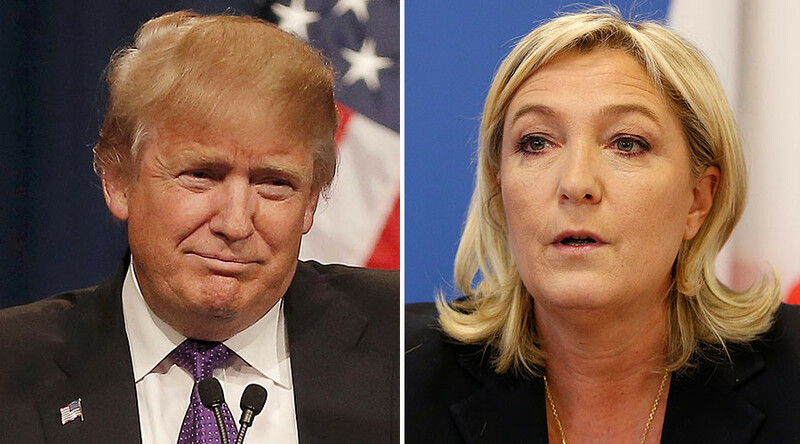 Le Pen has long been a vocal supporter of Trump, calling him a “sign of hope,” and stating that his victory had "made possible what had previously been presented as impossible." A recent poll shows Le Pen has gained significant ground on her closest rival for the French presidency, Francois Fillon.